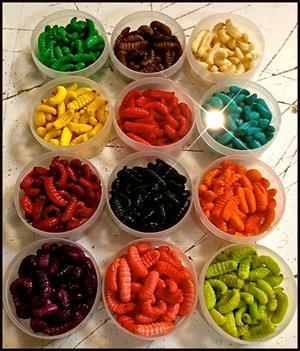 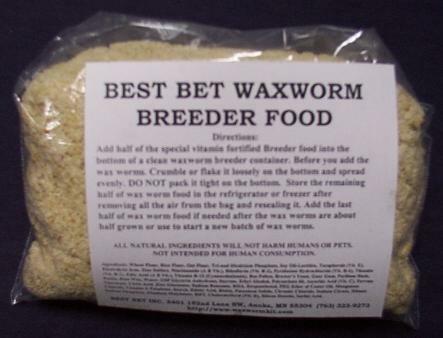 Our own special vitamin fortified wax worm food is great for growing fat & healthy wax worms...best of all it will keep fresh in your freezer for up to 2 years! 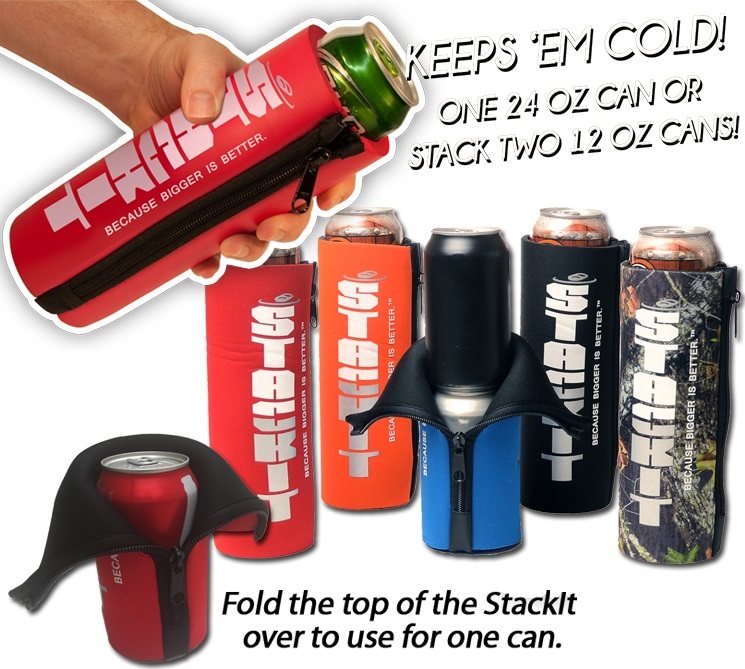 Stock up today and save money on postage! 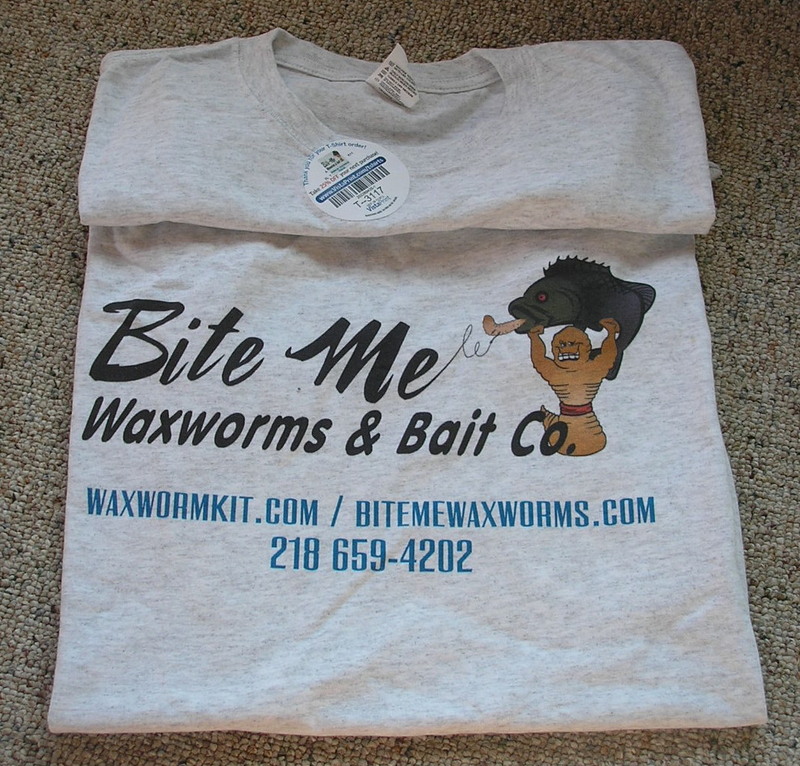 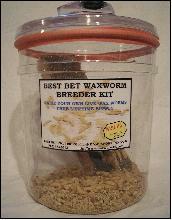 With these ingredients you can't help but to grow big fat healthy wax worms for fishing and reptile feeding. 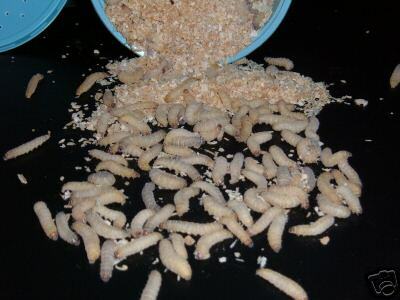 There currently are 295 guests online.